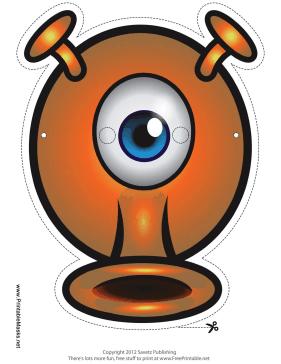 This orange one eyed monster mask has two antennae and one nozzle nose. Despite his odd appearance, he looks like a friendly fellow! This mask is free to download and print.